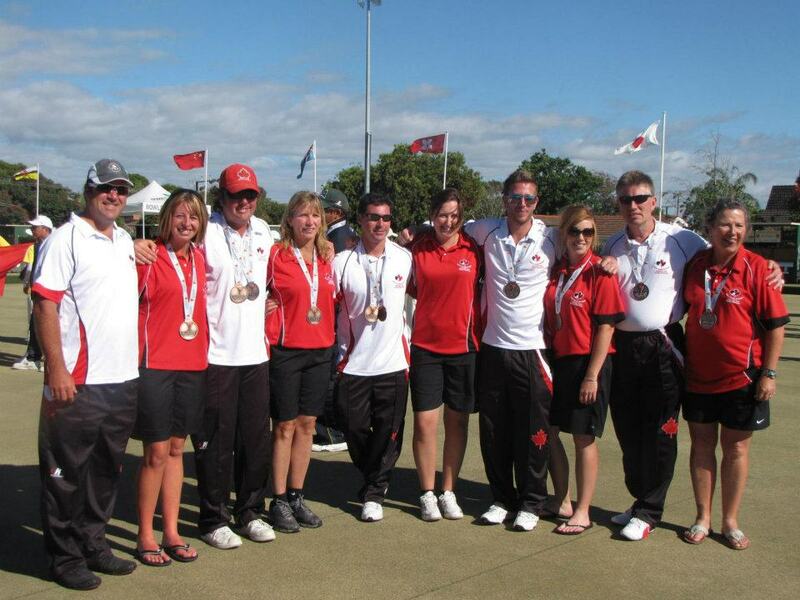 So the 2011 Asia Pacific Championships have come and gone in Adelaide Australia and was a great experience for the Canadian Team. Medals were achieved for the Women’s Fours (Lepere/Pituley/Foster/Berg) and Men’s Fours (Bester/Wilson/Aveline/Mason) and the Men’s Pairs (Bester/Mason). These are the first medals Canada have won since the 2008 World Bowls Championships that were held in Christchurch, NZ. The Team got better as the tournament went as everyone started to figure out the greens and learned to play in the tough conditions. A new coach was brought in and everyone seemed to respond well to the new strategies, drills and preparations. Something that will only get better down the road as the Team finds its routine on the greens. Congratulations to all Team members and best of luck in the 2012 season and the upcoming HP Performance camp in Arizona. Congrats Team Canada! You guys played great bowls, in what was very tough conditions. 17-18 sec greens, and lots of wind was hard work! Well done to the guys/girls who won medals – great achievement!